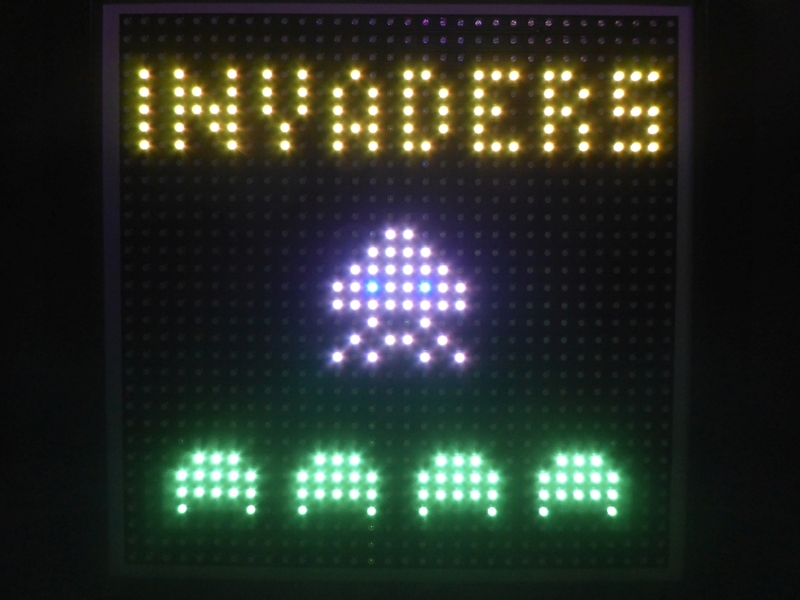 Invaders is an adaption of the famous "Space Invaders" arcade game by Taito (1978). 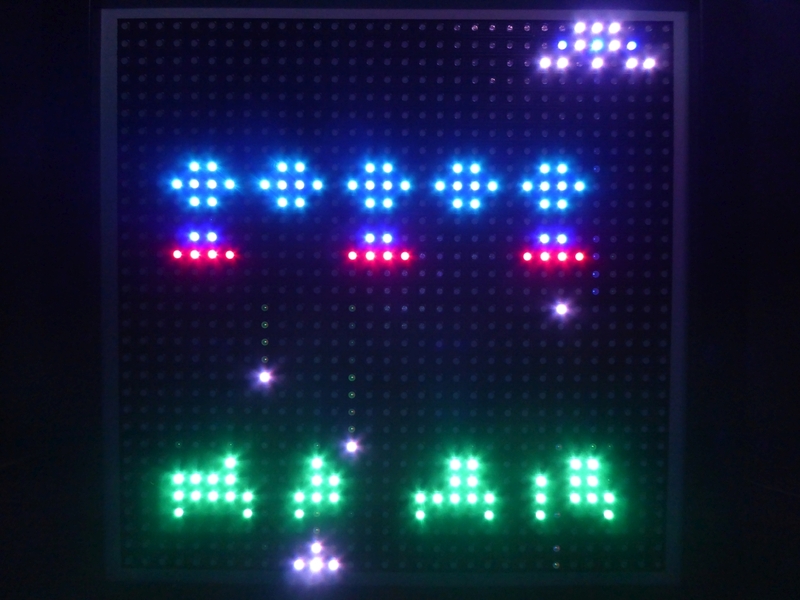 Defend a ground base against an armada of bombing alien monsters before they reach the planet surface. A number of shields provide some cover. In comparison to the original version, extra big monsters appear at the end of every second level. 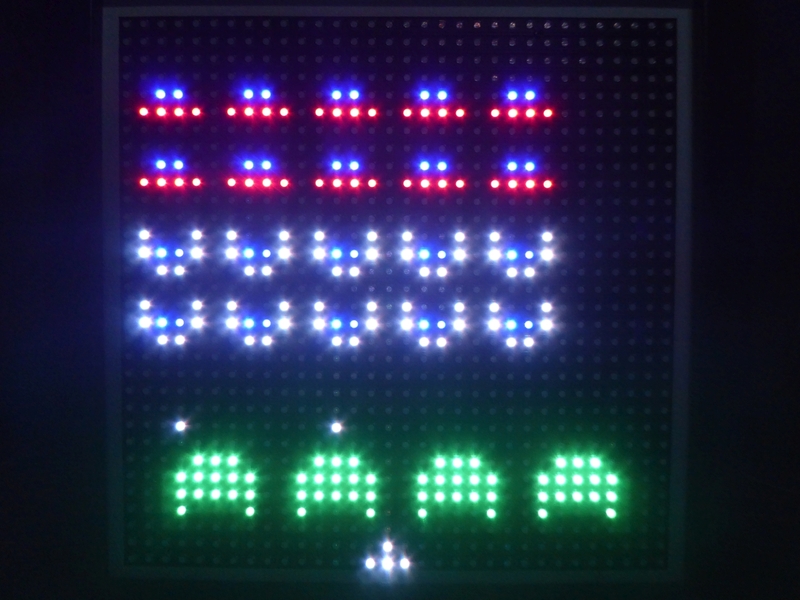 These are the original space invaders monsters in full size. 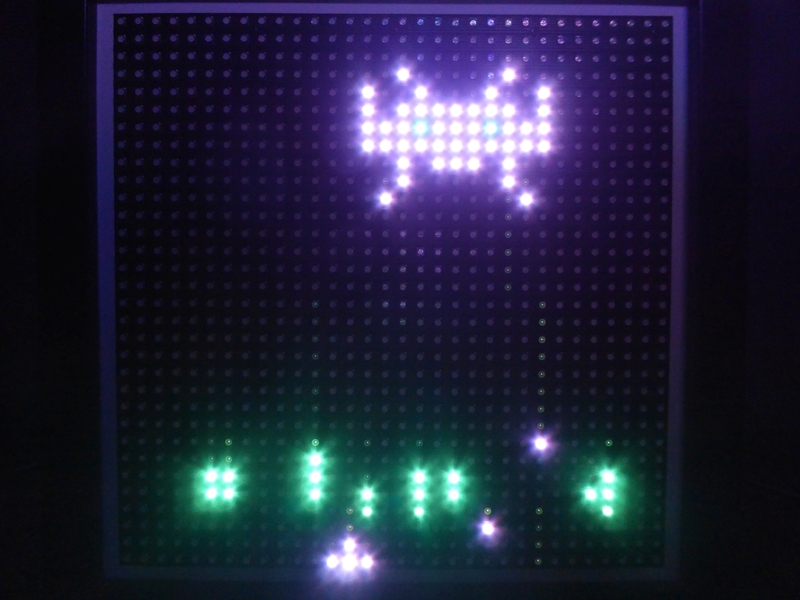 You get an extra life every 2000 points. Different difficulties are selectable. The hardest one is without shields. 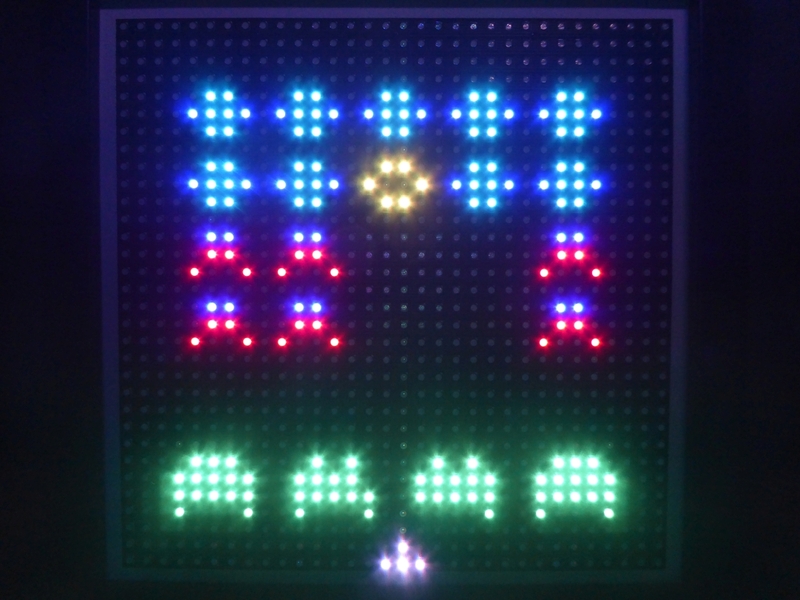 Watch the gameplay of Invaders on our YouTube channel. 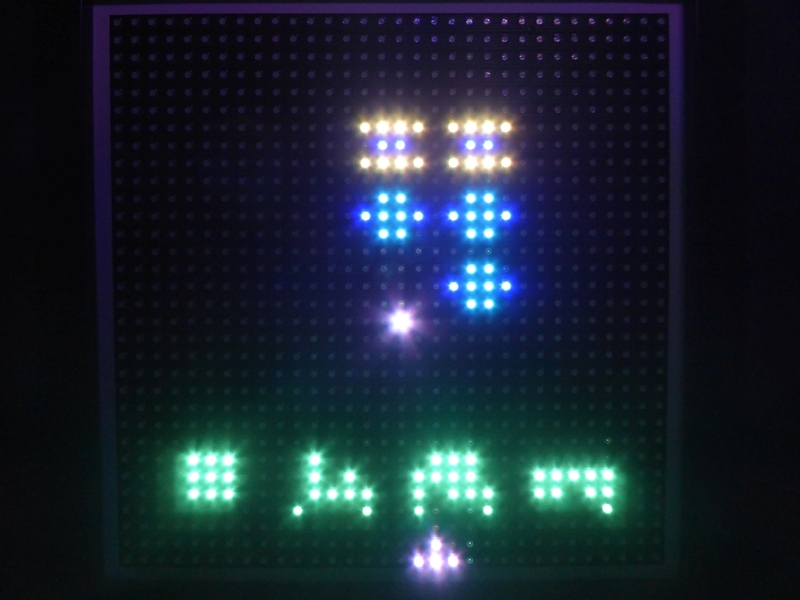 Hi, the link to the LEDmePlayBoy variant is not valid.